All staff photos published in the Record-Eagle print edition during the week of November 22-28, 2009. Note: Some photos may not be available until late afternoon on the day published. Photos published on Saturday and Sunday may not be available until Monday. 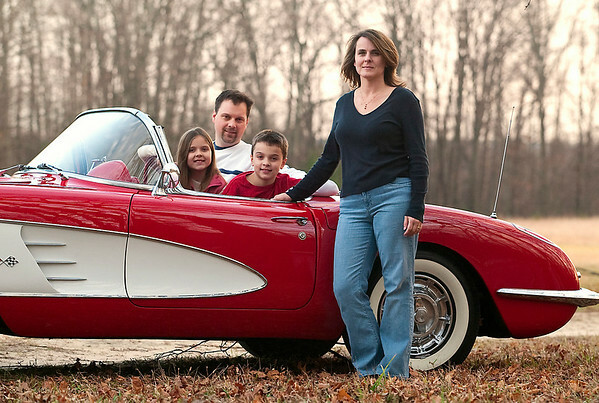 Tracie Sears shows off a restored 1959 Corvette she won through the Art Van furniture chain that's part of the company's 50th anniversary celebration. Her entry was among more than 500,000 received in the state-wide contest. She was among 10 finalists who attended a Michigan Legends Charity Concert held this month in Warren, where she won the vehicle, worth an estimated $60,000. Sears lives in East Bay Township and is shown with her husband, Todd, daughter, Taylor, 7, and son Trevor, 9.